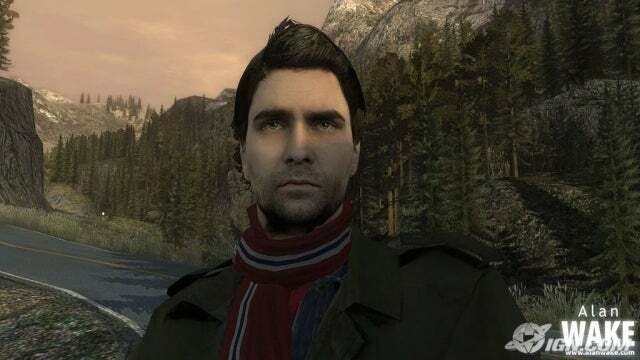 After the release of Max Pane 2 in 2003, Remedy started pitching new concept ideas for a new project as a way to “recover from the crunch.” One of the proposed concept ideas was for Alan Wake; two years later a Tech Demo was shown to the press, behind closed doors, at E3 2005. A debut trailer was released at the event and shows how different Bright Falls was. In 2006 Alan Wake was shown to the public once again. At this point in development – as seen in the trailer – the open world sandbox element wasn’t removed from the game, the trailer shows Alan’s outfit from the final product for the first time, and the trailer also shows Alan using a lantern. Between 2007 and 2008 (based on the dates that these screenshots were posted on IGN.com) Alan Wake’s story was still being revised, changed, and tweaked. Even the world of Alan Wake was changing as well. Based on these screenshots it would seem as though the world of Alan Wake has changed drastically and does resemble the Alan Wake we know today. Below this paragraph – in greater detail – I will point out several major differences in a several screenshots. This screenshot was taken in the daylight hours in front of stucky’s gas station. Now, in the final product, the player doesn’t go to the gas station in daylight hours. The player only goes to the gas station at night. Also notice the objective in the lower left hand corner of the screenshot, you can read “The cabin keys from the gas station.” The player doesn’t obtain any set of cabin keys from the gas station in the final. Note: The guide arrow- as seen in this screenshot and the next – was removed from the game. Here is another screenshot taken in front of Stucky’s gas station. Notice the arrow pointing at an unknown NPC – presuming to be stucky, although it could be just a mechanic working for stucky. Here is a screenshot of Alan in the book store. Again, like the gas station, you can enter the book store only at night. Staff member tilemaxx has written an article that shows how the main character, Alan Wake, has evolved. View the article to see how much Alan has changed since 2005! Surprisingly a screenshot was taken directly from the Debug Menu of Alan Wake. This screenshot shows an adjustment screen possibly used to test Alan’s facial expressions. The outfit seen in the 2005 tech demo – the red scarf and overcoat that Alan wears in the 2005 build – was reused as an Xbox 360 avatar item. The avatar item was released only with the Alan Wake Collector’s Edition. Before the games release, Remedy entertainment demonstrated the engine used to develop Alan Wake. Last updated by monokoma at 14-04-2011 . “We drop the sandbox elements from the game because they were incompatible with the story” is a fake reason used to justify the change. Probably the had to finish the game before becoming the next duke nukem and choos to cut a lot of features to semplify the development. I have seen ho Alan Wake looks on pc and it’s awesome!